Navistar International Corporation (NYSE: NAV) is a holding company whose subsidiaries and affiliates produce International brand commercial and military trucks, proprietary diesel engines, and IC Bus brand school and commercial buses. An affiliate also provides truck and diesel engine service parts. Another affiliate offers financial services. agreed they are TOP of the line parts. AkzoNobel has a passion for paint. We’re experts in the proud craft of making paints and coatings, setting the standard in color and protection since 1792. Our world-class portfolio of brands in North America include – Sikkens, Lesonal, Wanda, Modern Classikk, Sikkens Autocoat BT, U-TECH and Sign Finishes. Headquartered in the Netherlands, we operate in over 80 countries and employ around 35,000 talented people who are passionate about delivering the high-performance products and services our customers expect. Bee Line manufactures Wheel Alignment, On-truck Tire Balancing and Frame Correction Equipment for Heavy Duty Trucks and Trailers. Located in Bettendorf, Iowa USA, Bee Line designs, manufactures and sells a variety of cutting edge products while providing unparalleled training and customer service to its valuable clients around the world. Bee Line provides a complete solution with equipment that measures and corrects caster and camber – resulting in TOTAL wheel alignment, along with heavy duty truck frame correction equipment that includes exclusive optical frame assessment capabilities. The Company remains relentlessly committed to continuous technological advancement to support the ever-changing HD industry. For decades Imron® has been part of your journey. Our durable coatings protect your vehicle mile after mile. The world’s largest selling commercial vehicle coating formulated to meet the toughest conditions on the road. Trusted by 6 of 7 major Heavy Duty Truck Manufacturers to meet exacting standards of durability, protection and brilliant color. Unrivaled leadership creating a legacy of quality that you have come to trust. When it comes to protection your investment… Trust the leader. 3M provides the Automotive, Heavy Duty Truck and Commercial Vehicle industry with premium solutions to repair damaged vehicles properly the first time. We provide education and product systems such as sanding and grinding abrasives, body fillers, buffing and polishing products as well as spray equipment and paint tools. Big Rig Alignment Company and Custom Tooling provide equipment, consultation, and training to class 7, and 8 Truck manufacturers. Big Rig designs and manufactures custom calibration units for active safety systems as well as engineering upgrades to existing calibration equipment. Our relationship with Haweka USA allows us to deliver End-of-Line wheel alignment equipment to your factory along with training and maintenance packages. We have installed more factory EOL systems than anyone in North America. 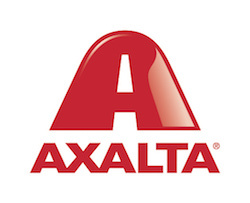 We help you produce trucks better, faster, and more efficiently. If you have any questions concerning wheel alignment or active safety systems, give us a call. The Automotive Aftermarket division (AA) provides the aftermarket and repair shops worldwide with a complete range of diagnostic and repair shop equipment and a wide range of spare parts – from new and exchange parts to repair solutions – for passenger cars and commercial vehicles. Its product portfolio includes products made as Bosch original equipment, as well as aftermarket products and services developed and manufac­tured in-house. Chief offers an extensive line of Heavy-Duty collision repair equipment, including frame machines, electronic measuring systems, steel and aluminum welding, HD riveting, aluminum repair and wheel service equipment. If you’re currently sending work to other shops, it’s costing you more than if you expanded to offer these services at your facility Why not turn that time and expense into your own shop’s profits? With Chief’s HD line of repair equipment, your shop can now take on that work, controlling the repair and reducing cycle times. Take the first step into Heavy-Duty collision repair with Chief. 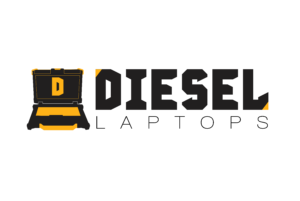 Diesel Laptops, founded by Tyler Robertson in 2014, is the industry leader in diesel diagnostic tools. Headquartered in Gilbert, SC, we provide diagnostic products, services and repair information to the commercial truck, construction, agriculture, off-highway, marine, powersport and automotive markets. We take great pride in being the diesel diagnostic experts and providing customers with world class service, training and support. You need a spray booth as rugged as the trucks you repair. We are Garmat USA. When you repair heavy duty trucks, your business demands heavy duty airflow, reliable performance, rock solid construction, and the longevity to last you decades. You need strong distributor for all your maintenance needs and to support your business growth. Come see why the transportation industry has turned to Garmat USA for their refinish needs for over thirty years. Built in the USA, designed by engineers, code compliant for your location, sold and supported through local distribution, Garmat spray booths tick all the boxes on any shop manager and shop owner’s wish list. With standard features and custom options to fulfill any requirement, we can build the paint booth that you need. After all it is the cornerstone of your business. Stop by and tell us about your process, and let us design the right solution for you. A leading manufacturer of paint booths and finishing technology, Global Finishing Solutions® (GFS) provides manufacturers and collision centers around the globe with equipment and services that improve shop productivity and paint finish quality. With an extensive history in the finishing industry, GFS is experienced at designing and building high-quality finishing equipment for refinishing cars, trucks and large vehicles such as semis, buses and RVs. The majority of GFS’ products are made in the U.S. at their 340,000-square-foot facility in Osseo, Wisconsin. Precision engineered and manufactured of heavy-duty materials, GFS paint booths and finishing equipment are designed to last many years. JOSAM® is headquartered in Örebro, Sweden, is a member of the Snap-on family of products and services. JOSAM invented their first frame straightening system in 1972, and through extensive experience and well-developed client contacts, is constantly improving their products. New material and technology are being introduced on a continuous basis so as to be able to offer clients the most effective equipment and techniques possible. The new product concepts and methods are then tested in our own measurement and straightening workshops. The JOSAM straightening equipment makes it possible to effectively and qualitatively repair damage to vehicle frames and chassis instead of replacing these components. 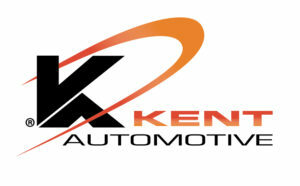 For over 70 years Kent Automotive has supplied the transportation industry repair centers in North America with high-performance repair products such as:fasteners, adhesives, sealers, cleaners, body hardware, cutting tools, abrasives, safety and electrical products. Kent’s product training, inventory management , and profit enhancing programs for service and collision make for an excellent business partnership opportunity. I-CAR® is an international not-for-profit organization dedicated to providing the information, knowledge and skills required to perform complete, safe and quality repairs. I-CAR’s focus is to provide everyone involved in collision repair with access to high-quality, industry-recognized training solutions. 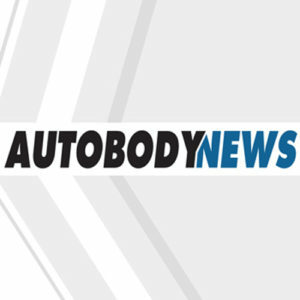 The organization also encourages and supports ongoing conversations that impact collision repair. Property Damage Appraiser (PDA) is an independent appraisal company covering the entire US, including Alaska and Hawaii. If it rolls, floats, flies, digs, crawls, pumps, lifts, builds….PDA can appraise it. The industry’s most extensive and accessible training and support programs. And a solid PPG commitment to continuous innovation in every aspect of heavy-duty vehicle finishes and repair. Choose wisely. 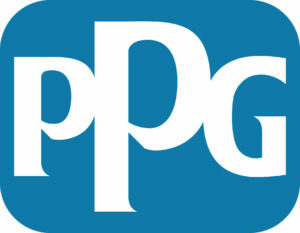 Learn more about PPG. Pro Spot International specializes in quality welding and repair products for the collision repair industry. Pro Spot owns three patents for special welding equipment and applications, and works with the largest auto manufacturers in the world. Pro Spot is a proud ‘MADE IN THE USA’ manufacturer in Carlsbad, CA. The turnkey facility includes Design, Engineering, Machine and Sheet Metal Shops, Powder Coating, Assembly, Training and Customer Support. The Pro Spot equipment line includes resistance spot welders, aluminum & steel dent repair systems, pulse MIG welders, rivet guns and tools, dust-free sanding systems, fume extraction and more. 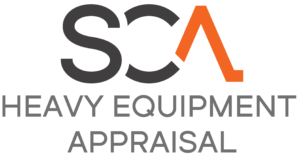 Since 1979, SCA Appraisal Co. – Specialty Division, has been an industry leader in Heavy Truck and Equipment Material Damage Appraisal. With a nationwide network of H/E Certified Appraisers combined with an internal staff of H/E Experts, SCA maintains a level of appraisal accuracy and quality unequalled in the industry. SCA’s H/E appraisal precision is achieved due in part via the nationwide utilization of the AdjustRite Commercial Estimating System, their rigorous quality assurance review process by internal H/E Experts and their continuous involvement in the H/E community. The leading commercial insurers recognize SCA Appraisal Specialty Division as a true authority in Heavy Truck and Equipment Material Damage Appraisal. Audatex is the leader in gathering intelligent data and developing software systems that enable efficiencies throughout the claims process. We build our solutions on the industry’s most comprehensive data, which is collected, codified and standardized through our global Data Development Centers. Our solutions bring transparency and agility to the collision repair and claims industries with innovative solutions that cover the claim life cycle, from first notification of loss to settlement. Beginning in 1989, Spanesi has become the global leader by producing the highest quality collision repair tools and equipment available. Today, the OEM’s have spoken and Spanesi is quickly becoming the choice for OEM certification programs around the globe. Spanesi is the only company to offer a complete 360o Solution for the automotive and heavy-duty truck collision repair industry. From structural repair benches, three-dimensional electronic measuring systems, vacuum systems, prep stations, spray booths, spot welders (aluminum, steel and silicon-bronze) and squeeze-type resistant spot welding equipment, no other company comes close to the product offerings being delivered to facilities every day. 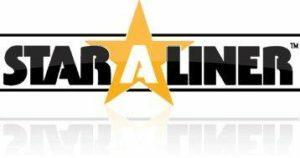 Star-A-Liner is the top manufacturer in the Heavy Duty Collision Repair Equipment Industry. With a lengthy career in manufacturing, our trusted brand supplies many satisfied customers with top of the line Truck Racks ranging in sizes of 27’ to 60’ long. These HD Truck Racks, are able to repair a large range of vehicles, such as unibody, HD Tractors, fleet vehicles, and much more. We pride ourselves on innovation, quality, and being the leading American manufacturer in this industry. All maintenance, all management, all vehicle classes, all the time. Designed to serve the fleet maintenance manager, Fleet Maintenance magazine provides a curriculum and best practices for vehicle uptime, and how to effectively keep vehicles operating with the greatest efficiency and minimal downtime.